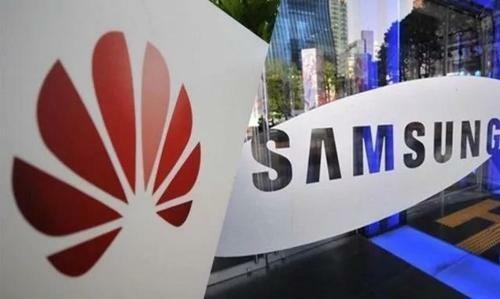 Asia’s leading smartphone manufacturers Samsung Electronics and Huawei are skipping the notch design display widely popularized by US rival Apple, suggesting the hole-punch as the next-generation design for smartphone displays that are free of bezels, according to the industry on Tuesday. A week after Samsung unveiled the mid-range Galaxy A8s equipped with a hole-punch display dubbed Infinity-O in China, its Chinese competitor Huawei on Monday announced the Nova 4 smartphone with a hole located on the top-left side of the screen to conceal the front-facing camera. The hole-punch display design by Samsung was first spotted in January as the tech titan applied for a patent for a display design with several holes on the screen and a nearly full screen-to-body ratio that was initially expected to be adopted for the Galaxy Note 9. Samsung, the largest smartphone provider by volume in the world, was seeking to avoid embracing the notch design -- pioneered by Apple and now adopted by Korea’s LG Electronics to squeeze in all necessary sensors and a selfie-camera in the top-middle of the display. First unveiled at the Samsung Developer Conference in November, the Samsung Infinity-O display is aimed at maximizing the display real estate and keeping the company’s reputation as the world’s most innovative business, according to Samsung. Multiple global online IT-specialized media outlets said Huawei’s upcoming Nova 4 resembled Samsung’s Galaxy A8s and noted the top-left hole on the screen looks smaller than the one on Samsung’s. “With Huawei joining the hole-punch design, 2019 could be the year of hole-punch display,” said an official in the display industry in Korea. However, the official added, the worldwide sales volume of the hole-punch display smartphones remains to be seen. Samsung has announced the A8s only for China so far, and it is undecided whether the company will roll out the so-called “piercing phones” in other markets. Some industry officials say Samsung is going to expand the hole-punch design for the flagship Galaxy S10 series slated for launch in March. The notch advocators Apple and LG are seemingly preparing for the hole-punch trend as well. Apple was found to have received approval for a top-right hole design on the main screen in November. LG Display, a close display partner of Apple, also filed a patent for a similar hole-punch display on the top right side in the same month.